David Cameron's bedroom tax proved to be one of the most divisive policies in recent British politics. Lung Theatre's verbatim show deals with the fallout, and the marginalised in society, focusing on a group of single mothers from Newham who fought against their eviction from social housing. 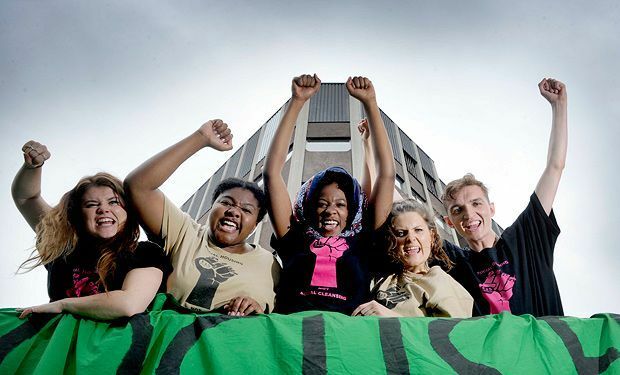 The Focus E15 campaign hit the headlines in 2014, with even Russell Brand speaking up for them as they took their protest to Westminster. This goes beyond the red tabloid headlines, to individual testimonies: a Nigerian teenager forced to marry a man in his 40s, and so fled the family; one 'worked for Primark and ended up earning as much as on benefits'; another was attacked by her boyfriend. There are no absolutes presented, no heroics – just ordinary voices. The nuances of the debate are tackled – the young people recognising when they were unreasonable. Across the board, the performances are excellent – full of sass, anger and hurt. Occasionally, it's delivered with sledgehammer unsubtlety, as with the worst excesses of Ken Loach's filmmaking, but ultimately there is enormous compassion, a great deal of humour and some heartbreaking performances – particularly a vulnerable yet impish Evlyne Oyedokun. This story is one that needs to be heard. Northern Stage at Summerhall, until 27 Aug (not 17, 24), £11 (£9).